Brand new tyres in Tetbury to fit your budget. 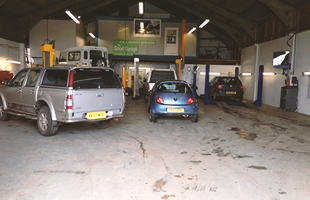 Using the latest, state of the art equipment, our fully trained technicians are able to fit tyres to your vehicle. We have a wide range of tyres to suit all budgets, from the best premium tyres such as Bridgestone and Continental, to the best budget brands that don't skimp on quality. Whether you have order premium or budget tyre brands, rest assure we provide exceptional tyre fitting services. Tyres are big part of what we do, meaning we will always go the extra mile for our customers in Tetbury and surrounding areas. Get a tyre quote for your vehicle. To get a quote for your vehicle, simply fill in the form below and we'll get back to you with various price options for your vehicle. For more information on our tyres in Tetbury give us a call today on 01454 238700.